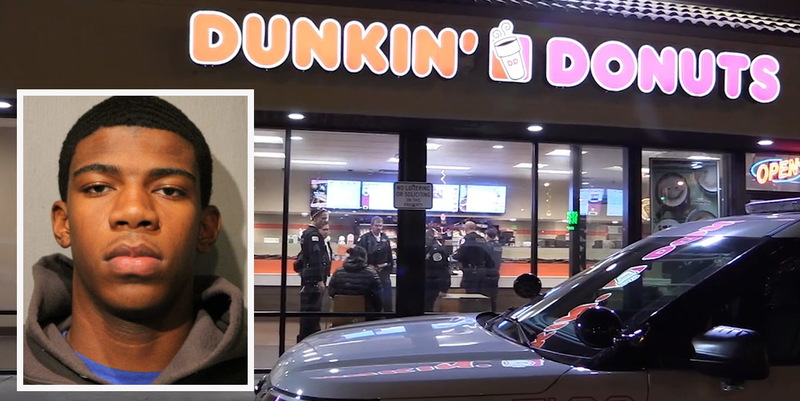 A man who “celebrated” his 18th birthday by carjacking the Chicago Tribune’s overnight crime reporter has been sentenced to four years in prison. Noriyhea Evans and another man were celebrating Evans’ legal adulthood early on Dec. 4, 2017, when they approached a car in the parking lot of a Bridgeport Dunkin’ Donuts. The paper's 29-year-old crime reporter was sitting in the car, waiting for a story to break. Police said Evans knocked on the car’s window and ordered the woman out of the car. Evans and another man then climbed into the Tribune-owned Chevy Malibu and sped away. Two days later, police spotted Evans driving the stolen car the wrong way in the 4600 block of North Ravenswood. Evans and two juveniles were taken into custody after a short pursuit. Last Thursday, Evans pleaded guilty to vehicular hijacking and received a four-year sentence from Judge James Obbish. Evans was also ordered to serve a concurrent four-year term for possessing a stolen motor vehicle and a concurrent two-year sentence for escaping from electronic monitoring. Evans received 478 days credit for time served. The plea deal also called for prosecutors to drop a felony unlawful restraint charge and for Evans to pay a fine of $807. He is expected to be paroled on October 16, 2020. Even the Tribune hasn’t reported this story. Please support CWBChicago’s original court reporting by making a contribution to our operations fund or by purchasing a subscription today.